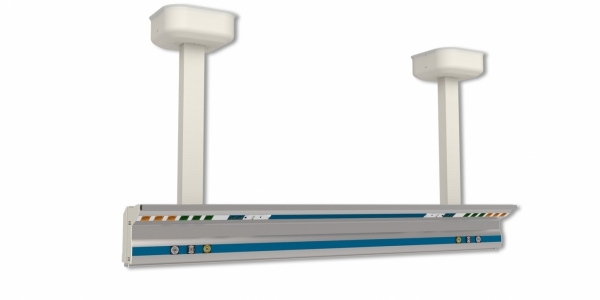 Medical beam is intended for medical gas and electricity supply to the optimal distance to patient´s bed in specialised medical workplace (ARD, ICU). It also ensures storage of medical tools and devices close to patient´s bed. 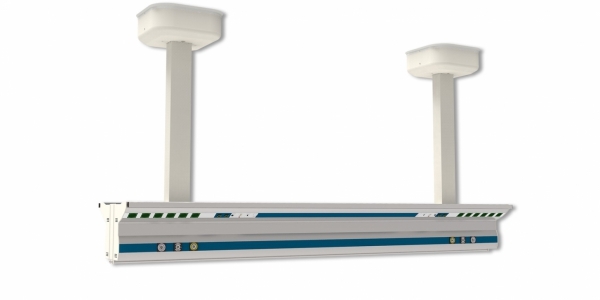 The medical beam can be fitted with a large range of accessories: Spot lamp placed on medical rail, refracted arms, telescopic rod with curtain, medical rail, positional(night) light or other accessories upon needs & requirements of the workplace concerned. Thanks to its design it ensures an optimal use of space with begard tosafety of patient as well as medical staff. This type of medical beam is used wherever medical gas outlets and high/low-voltage installations to be fitted both module sides. This is its indisputable advantage. 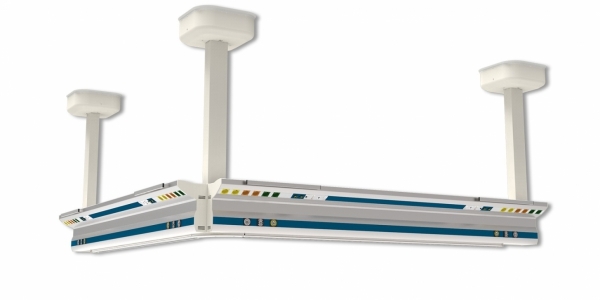 Laminar medical beam ZMP07 is used wherever a laminar air-flow coming from ceiling to be streamlined, namely in supra-aseptic environment. It is available in U- or L-shaped options, too.